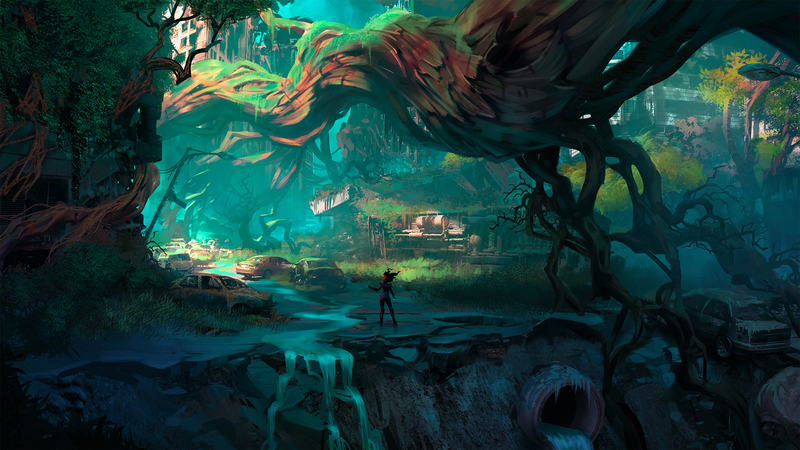 Darksiders III doesn't have many choices in it, the game is far more of a semi-linear action game than RPG, but there's still one subplot that comes with some pretty hefty decisions to make. 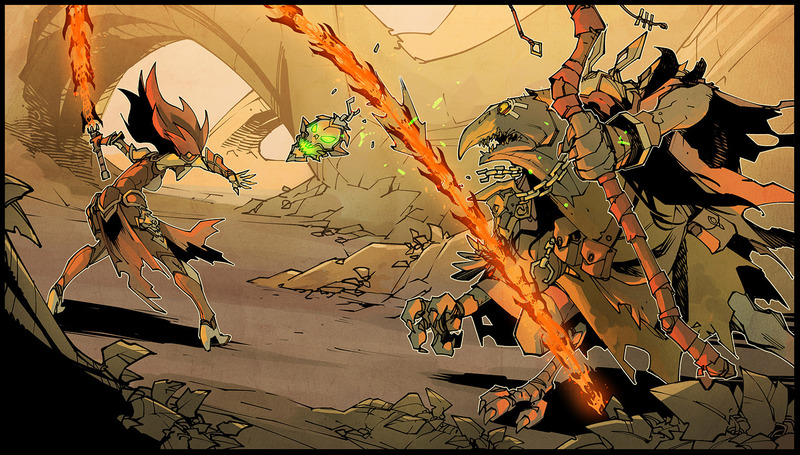 Mainly, resolving the conflict between the demon Abraxis and the enigmatic Lord of the Hollows. Resolving the dispute between the two of them is actually completely optional -- you can finish the game without making either decision. However, there's a fair bit of story relevance to each character and the ending cutscenes can even be slightly altered alongside a couple optional Achievements, so it's definitely worth your while to seek out a bit of closure here. You'll miss your opportunity to complete this section of the game if you enter the rift near the Haven - South End Vulgrim point to fight Pride, so make sure to do this ahead of that point. 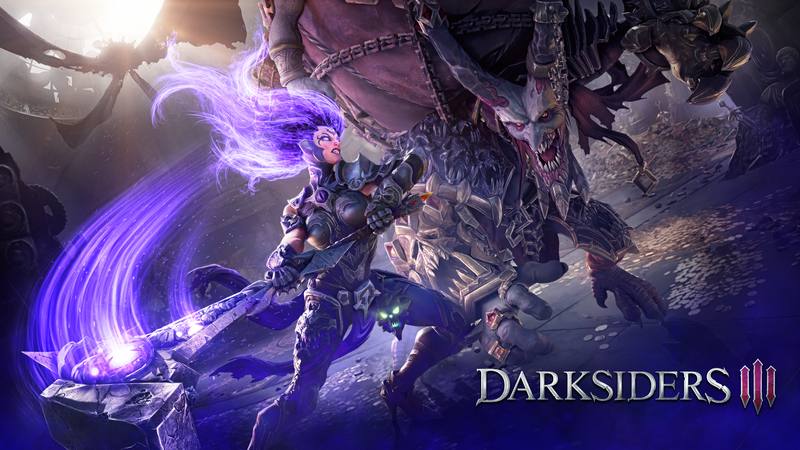 Note that this guide will have some minor spoilers for the story of Darksiders III. About halfway through The Scar, after the area with a bunch of loose wooden scaffolding, you'll be at a point where you need to take a tornado to cross a gap to continue onwards. If you've reached the Tempest, you've gone too far. 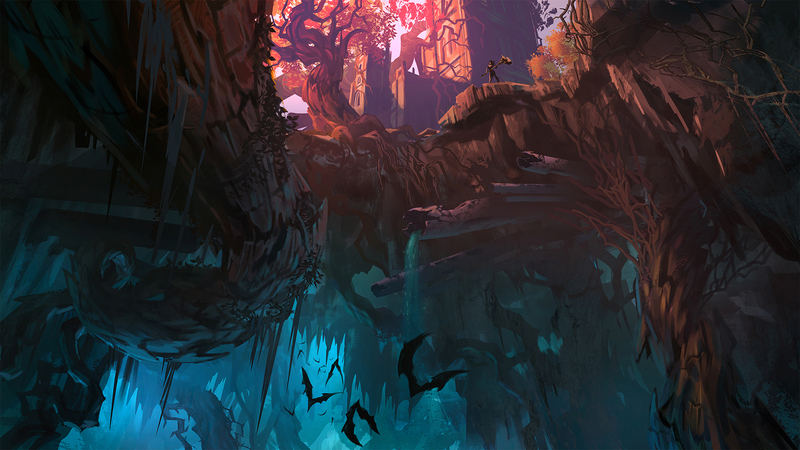 Use Thunder Hollow to reach the opening adorned with a bunch of red demonic horn-like structures. In here, take the elevator to the top to reach the charismatic demon. You'll receive the achievement Demon Meddler for making it this far. 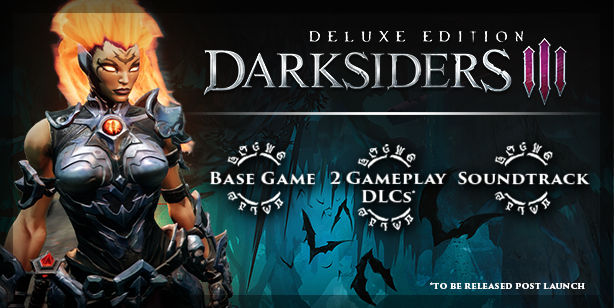 Agreeing to kill the Lord of the Hollows: In this choice, you'll avoid a fight with Abraxis, and receive an additional cutscene with him, where he introduces his servitude to the Destroyer. There doesn't seem to be much else in terms of rewards for this outcome, other than a little bit of a throwback to the first game. Killing Abraxis: Killing Abraxis will result in a surprisingly easy optional boss fight where you'll slay the demon on the spot. This will result in obtaining the item Soul of Abraxis, which you are then tasked to returning to the Lord of the Hollows. Killing the Lord of the Hollows: This will result in another easy optional boss fight. However, succeeding in this way doesn't result in any other notable rewards to this point. Sparing the Lord of the Hollows: This is the necessary choice to make in order to receive both the achievement A Parting Gift as well as the key item Mysterious Stone Sigil. Having the sigil in your inventory will slightly change a few moments of dialogue in the ending cutscenes with the Charred Council as well as at the Maker's Forge. The post-credits scene will also change slightly. 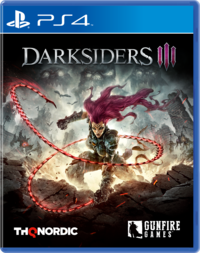 Darksiders III - Which Choice to make? Based on the achievements, cutscenes, and unique items involved, it seems like the decision to Kill Abraxis and Spare the Lord of the Hollows sits as the best possible option, netting all unique items and achievements. However, it seems like sparing the Lord of the Hollows is the more important of the two decisions, since aquiring the Stone Sigil is the determinant for whether or not you'll see the extended ending and alternate post-credits scene.